Of course you’ll make a date with your sweetheart on Valentine’s Day, but what about also showing some puppy love to your furry friend? Dogs are always there for us and they deserve some quality time with their best friend, too. Here are a few ways to plan the perfect doggy date day. Don’t just sit and stay. 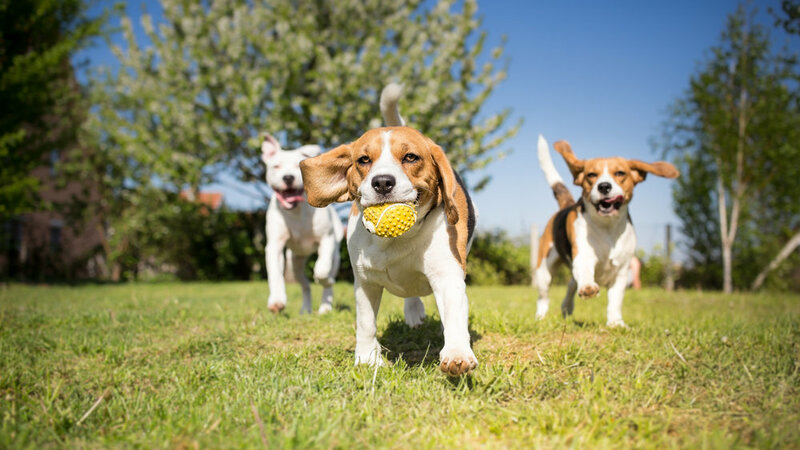 Some of our favorite breeds are bundles of energy, so take a little time out of your busy schedule to get them out. Chuck a tennis ball. Run. Jump. Play. Repeat. Then repeat some more. And some more. You’ll get tired of it way before they do. Whether you’re in the city, living the suburban life, or nowhere near your closest neighbor, it’s good to get away for awhile. You and your pup will both enjoy heading to the mountains or a nearby body of water for a hike. Most areas have dog-friendly hikes that aren’t too rough, and a quick Google search should offer up some hikes near you that you’ll both love. Don’t forget to bring some H20, a water bowl for easy lapping, and treats to keep you both going. Even if your pooch is prone to swallowing treats whole, they’ll still appreciate one that’s made with love. Check out some of Good Housekeeping’s homemade dog treat recipes. Or search for other treat recipes with your pup’s favorite snacks. Who knows? There may be a peanut butter, cheese, and salami dog snack recipe out there with his or her name on it. Make them from scratch and let your dog sample every single ingredient along the way like a Top Chef judge with a super-snuggleable face. Ok, not all dogs want to go, go, go. Have you ever seen a pug try to climb a mountain? It’s cute—but it’s not pretty. If your breed is more of a couch potato, relax with a show that you want to watch and offer up ear scratches for him or her.This would be a good time to have the homemade treats we mentioned earlier ready to go. Or make sure there’s doggy ice cream like King of Pups on hand. Pop up a big bowl of popcorn for you, hit Skip Intro and binge with your buddy. Who’s a good boy who loves attention and doesn’t mind a little noise? If that’s your good boy, hit up a dog-friendly bar or brewery. They’re everywhere now, complete with water bowls and lots of friendly hands waiting to offer up pets. Bring Fido is a cool resource to find ones near you. While you’re sipping the latest New England Style Farmhouse Double IPA brewed with artisanal Red Mulberries, Fido will be soaking up the love from all the other dog and craft beer lovers in your neighborhood.